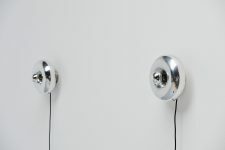 Very nice pair of ‘Pox’ wall/table lamps designed by Ingo Maurer, Germany 1966. 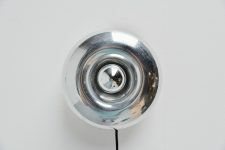 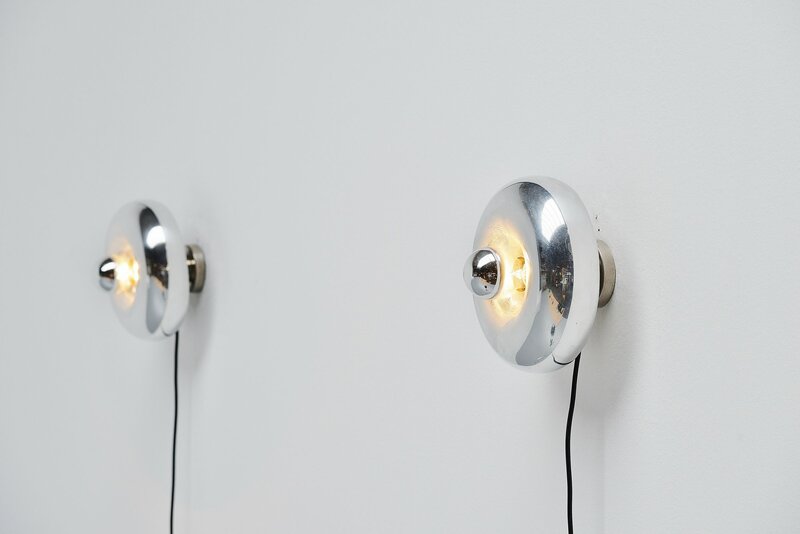 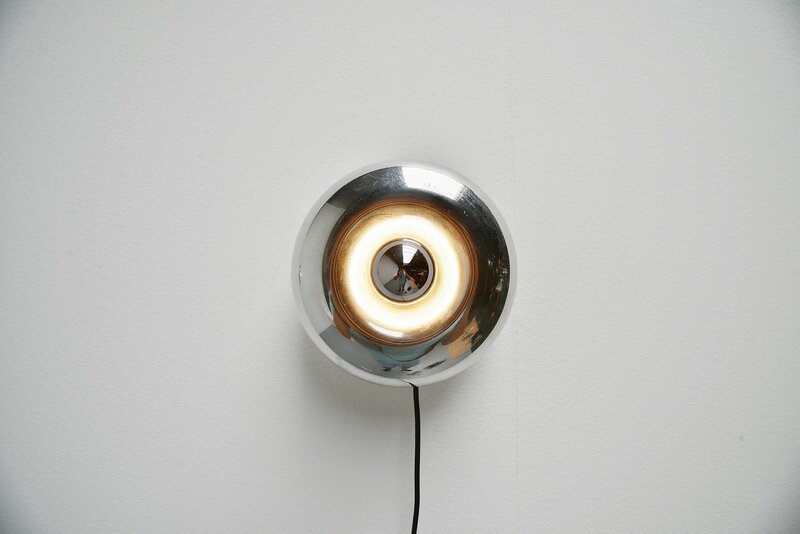 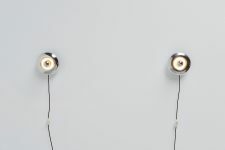 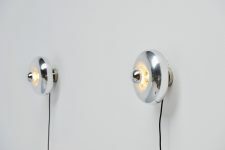 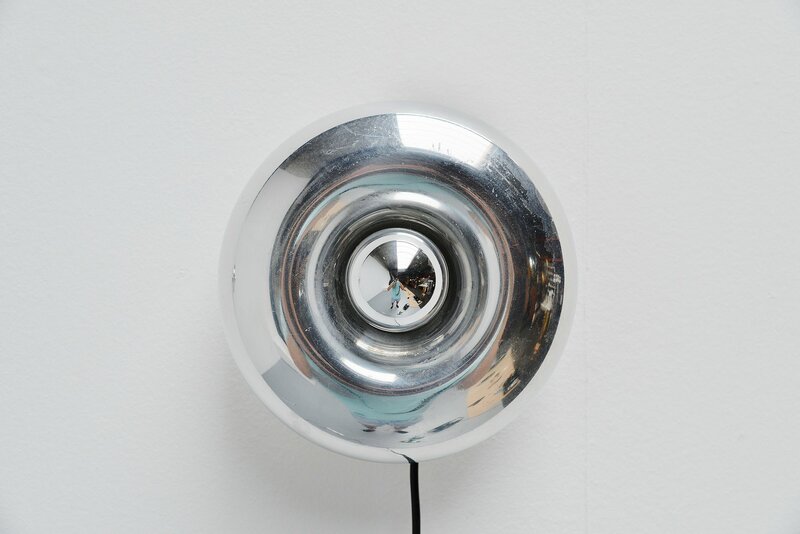 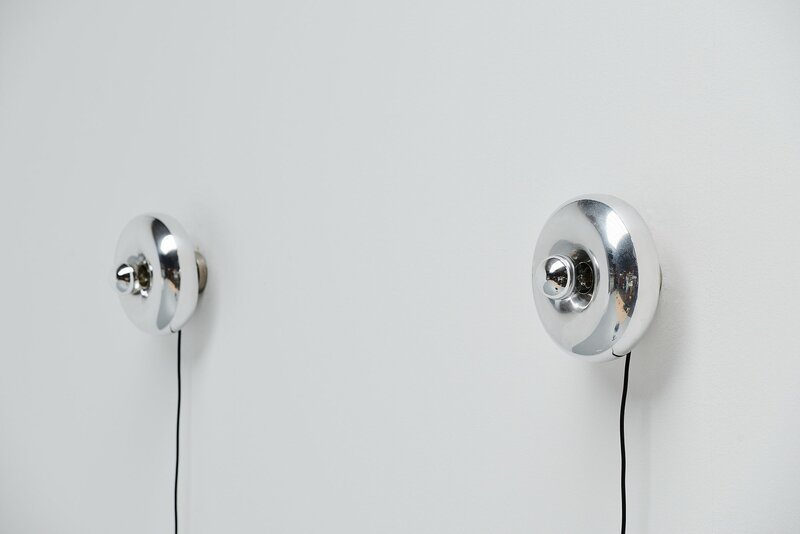 These lamps have a bit of a donut shape and the polished aluminum shade can be adjusted in height to get a differen light effect with the mirrored light bulbs reflection. 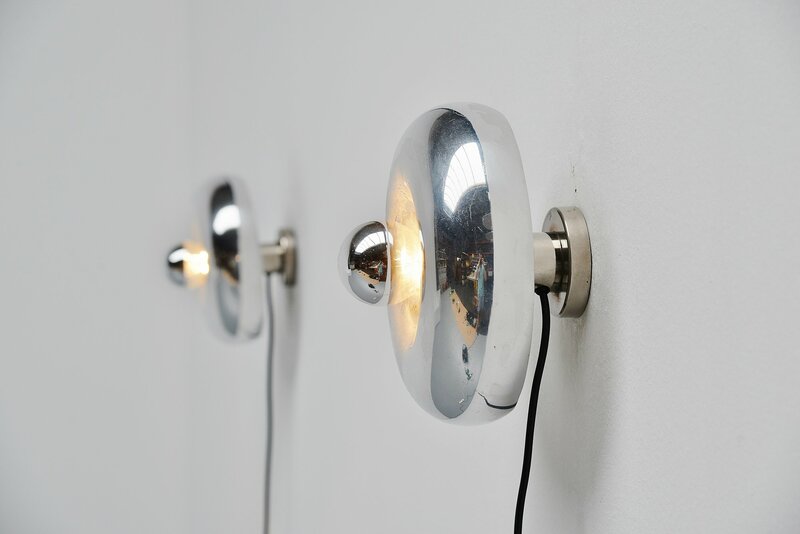 The lamps are easy to wall hang but can also be used as a table lamp. 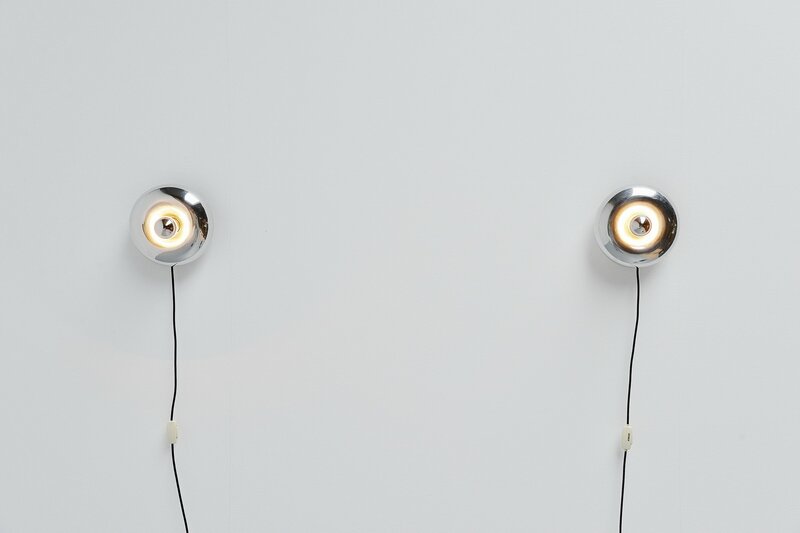 Complete with the half mirrored E27 bulbs. 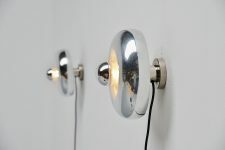 Very nice and hard to find set of lamps in good original condition.